The Wall Street Journal’s leading technology reporter, Kara Swisher, has been raising a stink about TechCrunch founder, Michael Arrington’s, new venture capital play, CrunchFund, which just two weeks ago announced an $8 million investment from TechCrunch parent, America Online (AOL). Now it looks like AOL is cutting Arrington loose — as in firing him — and the status of AOL’s investment in Arrignton’s latest venture is uncertain. [M]y initial reaction when I first heard about the deal: Ugh. Sigh. Hopelessly corrupt. Now 100 percent more icky! A giant, greedy, Silicon Valley pig pile. Today, backing up the charge from Rupert Murdock’s tech team vs. competitor AOL/TechCrunch, L. Gordon Crovitz, long time Information Age columnist for The Wall Street Journal, accused TechCrunch of a conflict of interest, and inferred big-name venture capitalists were joining the fund in hopes their investments would get favorable coverage on TechCrunch. 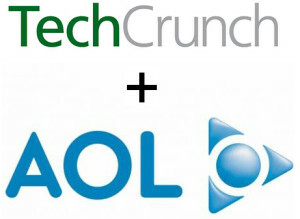 AOL is not giving TechCrunch its editorial independence. And it is not selling it back to Arrington. Instead, Fortune has learned that AOL executives have decided to terminate Arrington. Ouch! Kicked out of the company he founded less than a year after selling out to AOL. And word that Arianna Huffington, who sold out to AOL earlier this year, had a lot to say about getting rid of Arrington. Of course, News Corp. (owner of All Things D and The Wall Street Journal) and Turner Broadcasting (owner of Fortune and Fortune.com) are enjoying bashing TechCrunch for conflicts of interests. But don’t those giant media conglomerates also have conflicts of interest? Crovitz explains that it’s illegal for reporters at The Wall Street Journal to invest in companies they cover in their work. It’s illegal because they signed contracts they wouldn’t. But it’s not illegal for News Corp to invest in companies covered by The Wall Street Journal or Fox News. The “LameStream Media” seem to think that we still believe their coverage is impartial and not influenced by advertisers or investments. How much fashion coverage is in The Wall Street Journal compared to the contribution fashion makes to the economy? Look at the luxury goods makers who advertise in The Wall Street Journal. You don’t think WSJ‘s newfound focus on the fashion industry has anything to do with who is advertising, do you? Do I trust the review of any Fox movie in a News Corp media outlet? I do not. The Wall Street Journal has a history of lies and distortion when it suits corporate purposes. About the same time AOL was buying The Huffington Post, The Wall Street Journal withheld knowledge that an American arrested in Pakistan was employed by the CIA. They boasted about the deception as proof of their ability to get inside information — even though they chose not to share it. Are we supposed to trust news organizations that admit to lying to readers? In his defense, Michael Arrington recognizes this hypocrisy, and argues in favor of disclosure rather than objectivity. In offering to disclose potential conflicts of interest, his transparency is preferable to a meaningless prohibition. Whether it’s TechCrunch or Fox News, or National Public Radio (NPR), all news is produced with inherent conflicts of interest. Just the act of selecting stories to cover is inherently subjective and subject to appearances of conflicts of interest. Disclosing these conflicts is more important to the integrity of journalism than prohibiting them, which is impossible. What this tech media melee shows is that we are all working with the same set of conflicts: We need resources to produce the news, and paying for those resources results in the appearance of conflicts of interest. The best we can do as journalists is disclose these conflicts so that readers can consider the source as they consider the news. Image by Joe Ross, used under its Creative Commons license. Steve O’Keefe is co-founder and Chief Operating Officer of SixEstate Communications, and the creator of Newsblogging. He has taught Internet PR at Tulane University since 2001, as well as courses for Stanford University, UCLA Extension and PRSA, among others. Steve wrote the bestselling book Publicity on the Internet in 1996.